Hi guys, first of all I am really sorry that this post is a week late. I was taken ill during the bank holiday weekend and ended up in hospital. Since I came out I got worse and ended back at my GPs. I have been signed off work for a week and still not feeling great but wanted to just come on here to add this card as it's so late. Thanks so much for visiting, sorry for the rush post. Please visit the Sketch N Stash blog for more details on the challenge. Hope you are all well and hope to be back soon! Great card Michelle. I like the cute bear and the papers. Hope you feel better soon, hugs. sorry to hear you are unwell Michelle, I hope you feel better soon. ik hoop dat je weer helemaal beter bent ! Oh Michelle, you poor thing! Sending you much love and big hugs, hope you are on the mend!! 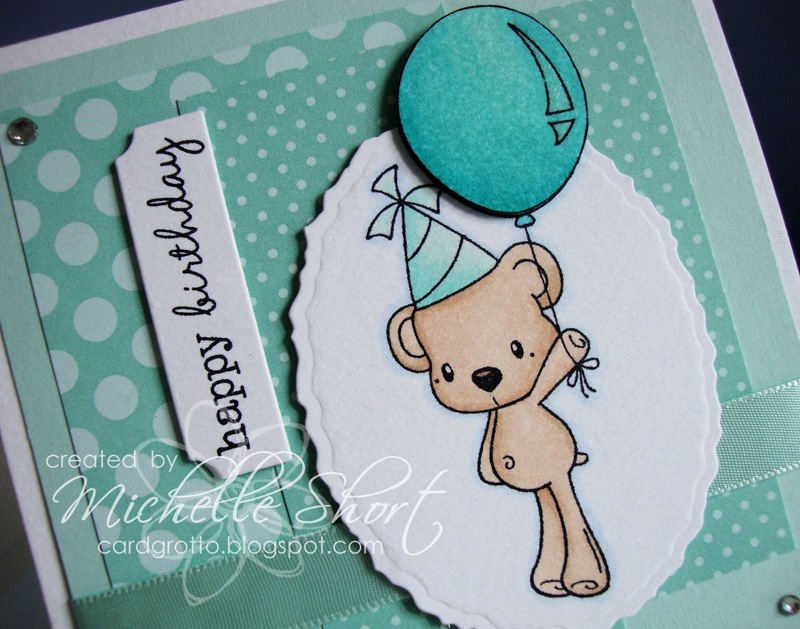 Your card is so cute and I love the colour you used! Take care of yourself first, Michelle! How dreadful for you. Get better very soon! 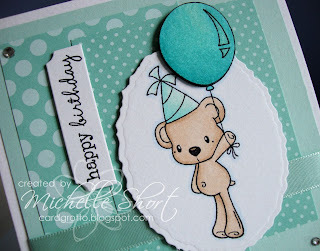 Beautiful card Michelle.... hope you're feeling better soon! Sorry to hear you have been feeling rough and hope you are feeling better soon. amazing card Michelle - so cute. Sorry to hear that you are unwell and hope you start to feel better really soon. The card is lovely - I love how you've given a more CAS feel to a very busy sketch. Sorry to hear you've not been well again, I hope you feel better soon. oh Michelle :( I hope you are okay?